The keys to your music excellence! 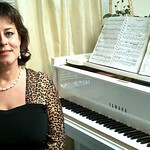 Piano and keyboard lessons in Colorado Springs, CO, or online. Playing piano is for everyone! Q: What makes me different from the average piano instructor? A: •	I am not a part time piano teacher. 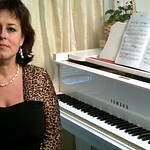 I have devoted my life to music and teaching piano. •	A “cookie cutter” instructor I am not. •	As a full time piano teacher I have a Master’s degree in music. •	25 years of full time teaching experience. •	My students are exposed to a variety of styles - classical, jazz, blues, popular, hymns, sing-along-songs, new age, etc. •	I teach a unique combination of Americana and European methods. •	I make music theory fun. •	Piano accompaniment is an important element of playing piano, which is an integral part of my lesson plans. I can help you learn to listen to other musicians in the group; no matter how big or small the group might be. •	I love teaching children; however, the piano will help develop brain connections at any age. My students range in age from gifted homeschooling students as young as 5 years to inspired adults. One of my brightest students started playing piano at the age of 77. •	Not everyone learns the same way. I can identify your learning style which will be either, reading or “play by ear”. Of course, I will teach you to do both ultimately, but I can help you get started with your dominant style. My devotion to teaching will become obvious during your initial FREE in studio lesson. Please contact me to schedule a time for us to meet and play a little… You will love what you learn and share it for a lifetime! • My piano lessons involve all facets of music, from playing by ear, theory and ear training, to songs and piano technique. Classical music and music theory are a part of every lesson, but all other styles are important as well. My students are exposed to a variety of styles - classical, jazz, blues, popular, hymns, sing-along-songs, new age, etc. • Learning piano is great for kids! I especially enjoy teaching children. I offer a comfortable atmosphere for learning that fosters a love and appreciation for all that music has to offer. On a piano lesson, we will cover a wide variety of "classical" repertoire and include any music style or song(s) that interest you and your child. 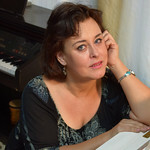 • I offer theory lessons for students, who already can play piano, and who would like to know more about chords, their structure, reading chords from "Easy-play" books, and learning how to make your own arrangement for these chords, how to play accompaniment to any solo instrument or voice, transpose, create your own music, and write music. • Music Technology - digital keyboards integrated with lessons. The technology is used to supplement, not replace, piano lessons. CDs, recordings for Youtube, or play along with recorded music at speed suitable for their current level, music theory online games make theory learning fast and fun. Ken and Lana play "It had to be you"
• Piano parties and recitals - 2 or more performance opportunities throughout the year. Piano lessons give you the opportunity to give back to the community. We play many concerts for our community, especially for nursing homes. • In addition to learning piano technique, students in my studio receive training in basic musicianship skills, music history, and ear-training. • Play and sing! Learn to sing songs and play chords as a background. I believe that learning piano is a challenge but should be fun. I do not my see students held down by the "you must do this my way" approach to teaching. Each person is different, therefore the way in which they are taught should be unique to their personality. I work with each student on his/ her own program. Depending on a student's goals, I find music pieces to play, and show them to my students. I provide a choice of several pieces, so they may choose those, that are most exciting for them. What is better: to be able to read music or to play it by ear? As you are learning piano, you will discover this for yourself. Well...? Let's pretend you are going to learn a foreign language. What would you prefer: to be able to read but not speak, or speak, but not read? Of course, you wish to both speak and read. It's great to enjoy beauty of a new language. It is also good to understand grammar rules of this language. That's what I think about learning and teaching music. Every music style is a new language. Good musician should be able to appreciate music, read music, play it by ear, and know how it works (know your Music Theory). My students learn how to read music, how to play favorite songs by ear and from sheet music, and to find the right harmony to melodies. Lessons are 30 minutes in length, once a week, although one hour lessons are available upon request. My goal is to teach everyone to play, understand, appreciate music, and enjoy it! Kaylie plays C'est si bon"